Protected deep within the Himalayas, Himalayan Crystal Pink Salt was created millions of years ago, during a time of great tectonic pressure. Untouched by pollutants, Ahe Naturals Minerale Detox - Aromatherapy Bath Salts preserve the purity of past pristine environmental conditions. 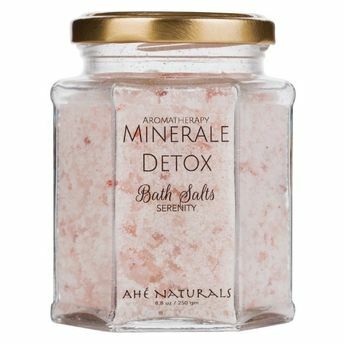 Rich in the same minerals that are naturally present in the human body, AhE Natural's Bath Salts help detoxify the skin and soothe the muscles. Made of therapeutic essential oils it calms and uplifts the senses. Explore the entire range of Bath Salts available on Nykaa. Shop more Ahé Naturals products here.You can browse through the complete world of Ahé Naturals Bath Salts .